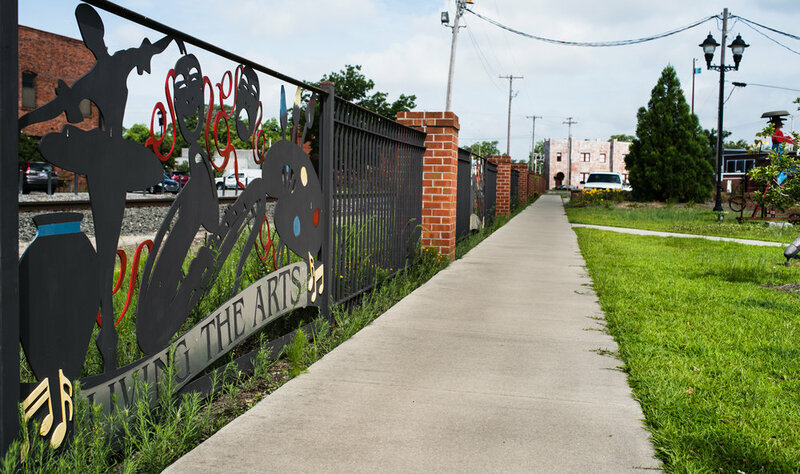 SmART Kinston is passionate about creative placemaking – using our unique arts and cultural resources to shape the social and physical character of our city. The smART Kinston City Project Foundation works closely with our partner organizations to infuse art into the fabric of our community, advocating and facilitating for creative touches in everything and everywhere. As a designated SmART Community, the North Carolina Arts Council provides us with support and technical assistance to further our creative placemaking goals. Read more about our creative placemaking initiatives in our news section.